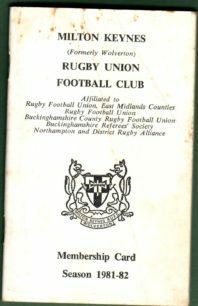 26 page Annual Club Membership booklet, including Club Officials names, + fixture lists, some with added handwritten results. 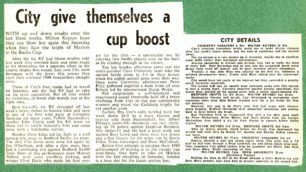 'City suffer engine trouble'; 'City's strength in depth'. 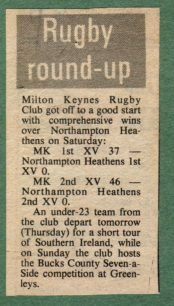 Report on MK RUFC matches v. St. Neots and Ampthill. 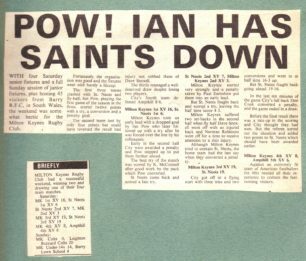 Some player names mentioned. 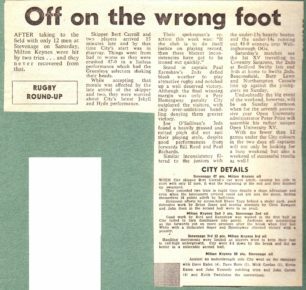 Two reports on MK RUFC matches v. St. Neots and Ampthill. 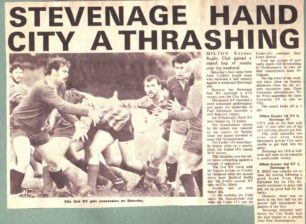 Also a youth visit from Barry Rugby club and a Colts game v. Leighton Buzzard. 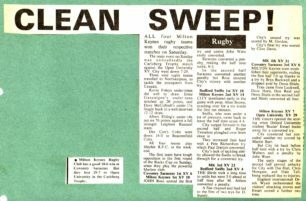 Two reports on MK RUFC matches v. Stevenage (some player names mentioned), junior matches v. Old Grammarians, and upcoming fixtures, including one against Open University XV. 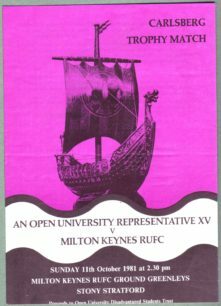 Two reports on MK RUFC matches v. Coventry, Bedford and Open University. 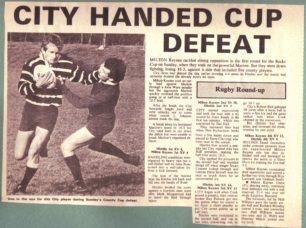 Report on MK RUFC matches v. Marlow and Hitchin. 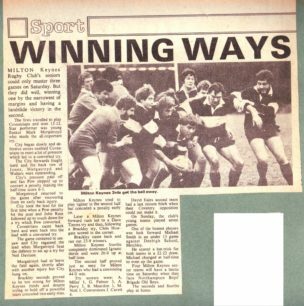 Report on MK RUFC matches v. Marlow and Hitchin, plus U-14 result v. Leighton Buzzard. 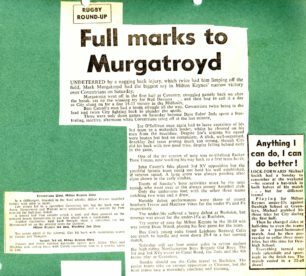 Report of MK RUFC matches vs. Old Bosworthians and Leighton Buzzard, together with results of other matches. 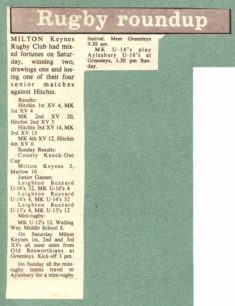 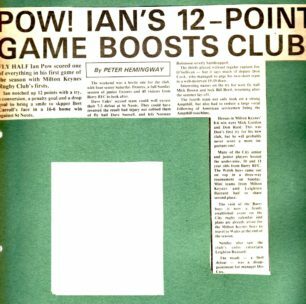 Reports of MK RUFC October 1981 matches v. Old Bosworthians and Leighton Buzzard, plus Colts v. Towcestrian Colts. 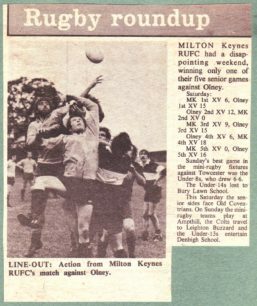 Report on MK RUFC matches v. Olney, some player names mentioned, plus upcoming fixtures. 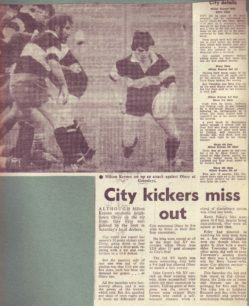 Report on MK RUFC matches v. Olney and junior matches v. Towcester, some player names mentioned. 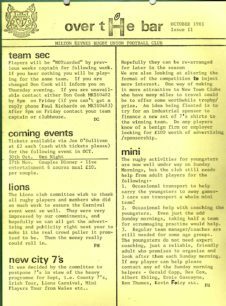 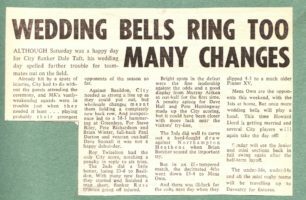 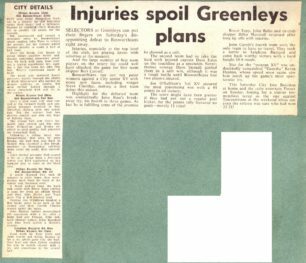 Club newsletter October 1981, Issue II, detailing coming events, the Lions carnival, postponement of New City 7’s and mini rugby activities. 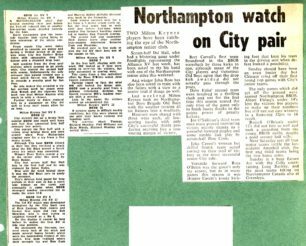 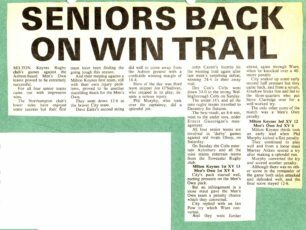 Dai Hall & John Ross given trials with Northampton Saints, plus report on MK RUFC matches vs. Northampton Boys Brigade Old Boys; upcoming fixtures. 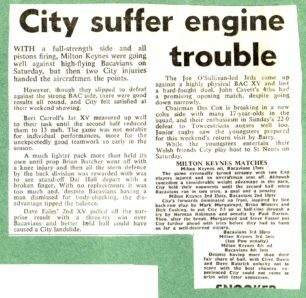 Item: 'City suffer engine trouble'; 'City's strength in depth'. 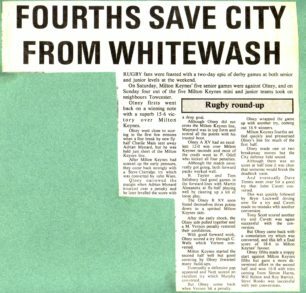 Item: 'That's better, City'; untitled; 'City slump again'; 'Tails up again'; results roundup. 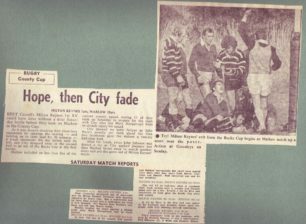 Item: A switch to rugby pays its dividends'; Toast List for MK RUFC annual dinner.